We take a look at some examples of how believers have taken old covenant ideology and wrongly blended it into our new covenant lives. 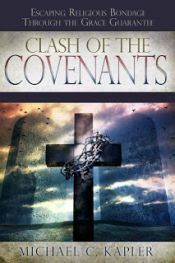 Often in the church world we see things that have been symbolically integrated that are copies and shadows from the former covenant and may bring a mindset of failure, fear and misunderstanding when it comes to our Christian life. And what about some of the writings of the Old Testament? Are we supposed to live by everything that was written or is it there to point us to a better way?